A children’s lung transplant story. Joan gifts $0.50 to Donate Life America for every book sold. Tommy is a young boy who loves to play, go to school and help others. What starts out as just a cough leads to the discovery of a serious medical issue that requires a lung transplant. Tommy’s story answers some of the questions that may come up when a child or someone a child knows is facing an organ transplant operation. Operation Breathe Easy takes you through Tommy’s journey from start to finish. Joan Powers is a graduate of Lesley University and has a passion for creativity. This is the first children’s story that she has written. In addition to writing Operation Breathe Easy, Joan is a photographer, enjoys the outdoors and spends as much time as possible with her grandchildren. Joan resides in Massachusetts where the amazing four seasons of the year help her to fulfill her creative passion. 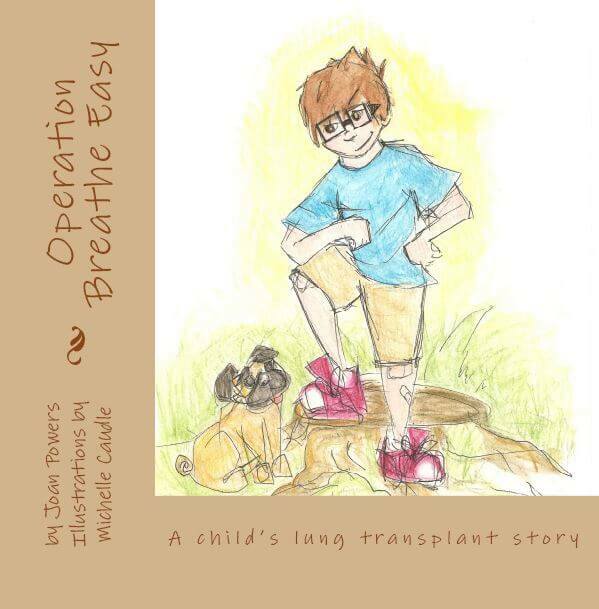 Joan’s intention for Operation Breathe Easy was to not only write a children’s story, for which there are very few on this topic, but to provide a tool for children and adults to use in opening the lines of communication when dealing with this most difficult medical journey. “What better way is there to make people aware of the tools available to them then to partner with those organizations that deal specifically with organ donation and transplant matters”, says Joan. Her goal for the book has always been to give children the opportunity to realize they are not alone in this journey even though they may initially think they are.